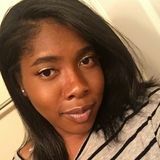 Want to connect with Qiana? Hello my name is Qiana. I am a child care provider who is wonderful and looking for work in Plano. I hope we have the chance to chat soon! I am a responsible, fun, and loving babbysitter / nanny.